Thank you for stopping by my little corner of the web to catch a sneak peek of the new items coming out in January. You are currently visiting Joanne Cantrell. So, I have not placed my pre-order yet. I am waiting until the end so that I can use my Christmas bonus so I can get even more goodies!!! That being said – all these products were ordered from the OnStage Product Purchase Premier. This is one of the best perks of being a demonstrator! 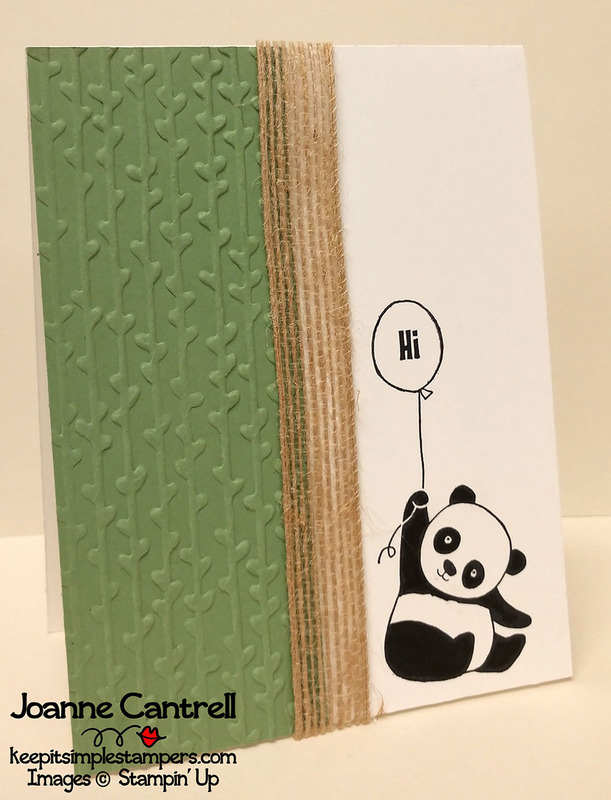 This uses the new Party Pandas (147218/147221) from the Sale-a-Bration catalog. That means you can get it FREE with a $50 US order. But, you may not recognize that embossing folder I used either. It is part of the Petal Pair Textured Impressions Embossing Folders (145656) found in the new 2018 Occasions Catalog. This card features the new Let the Good Times Roll BUNDLE! 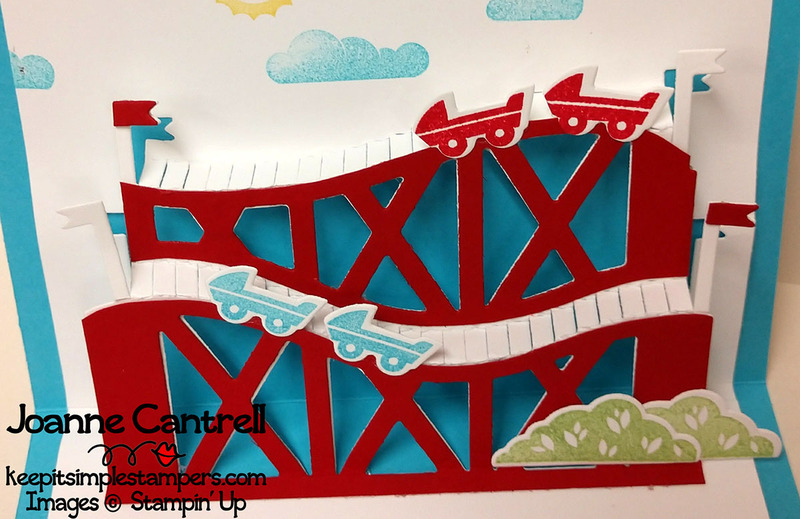 Bundles are great because you can order the stamp set and the dies/punch and save money! 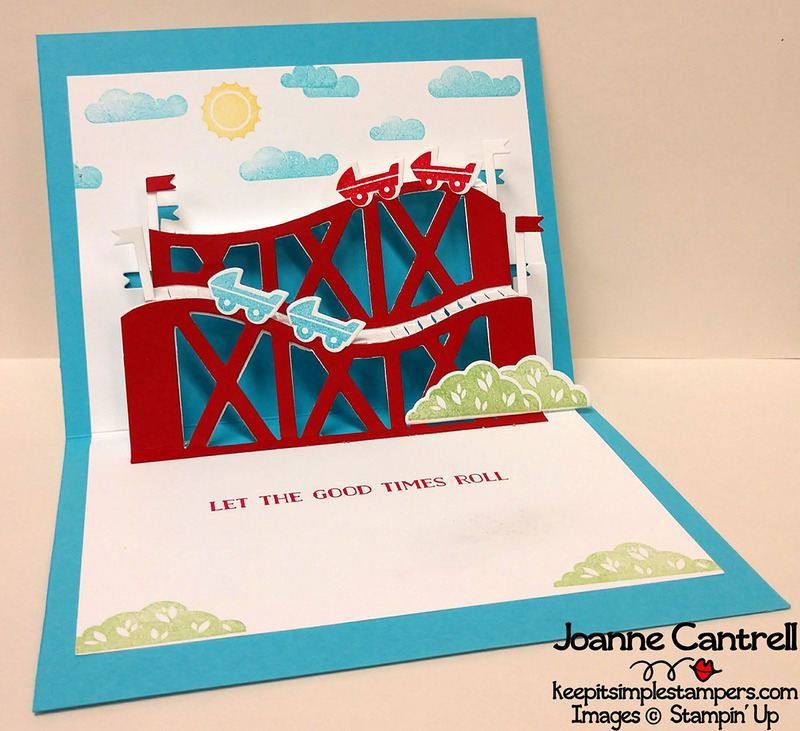 This bundle features the Let the Good Times Roll Stamp Set (145687) and the Thrill Ride Pop-Up Thinlits Dies (145650). Wait… What? You don’t see any dies used here? Oh… they are on the inside! 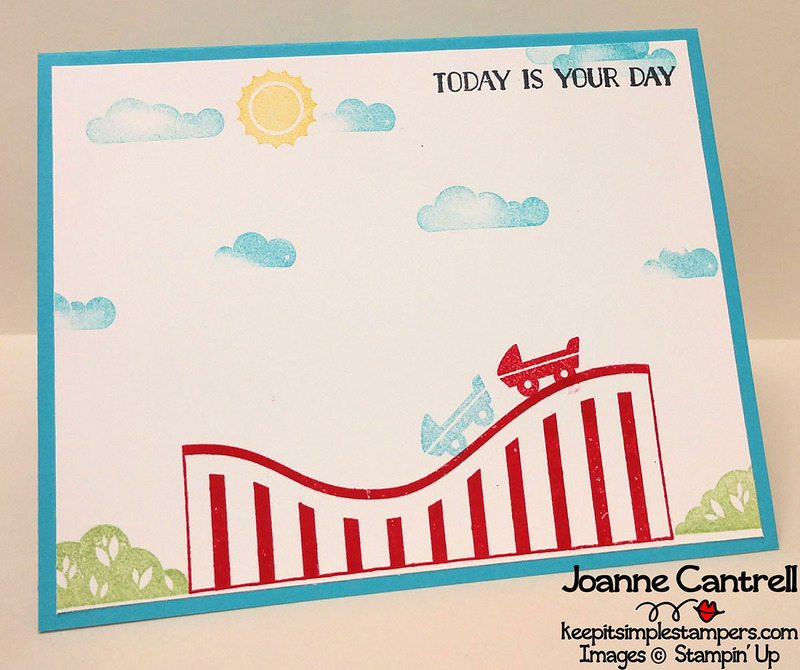 You use the dies to great a roller coaster that pops up when you open the card! Anywho… this is the set that I won! 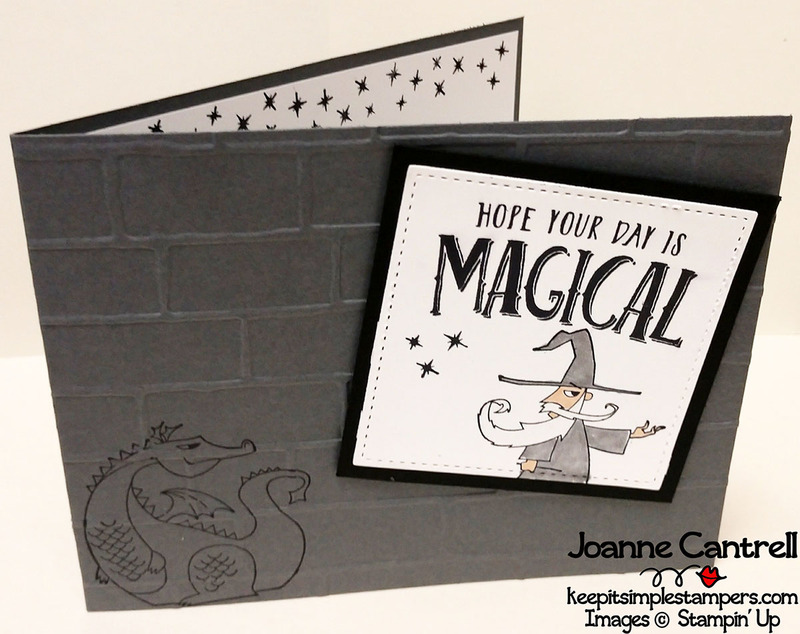 It’s called Magical Day (145854/145857) and can be found in the Occasions Catalog. It is part of a suite that comes with dies, designer paper, glimmer paper, and more… But since I haven’t placed my pre-order all I had was the stamp set. So, here is a simple yet very fun card. What little dude in your life would love this? 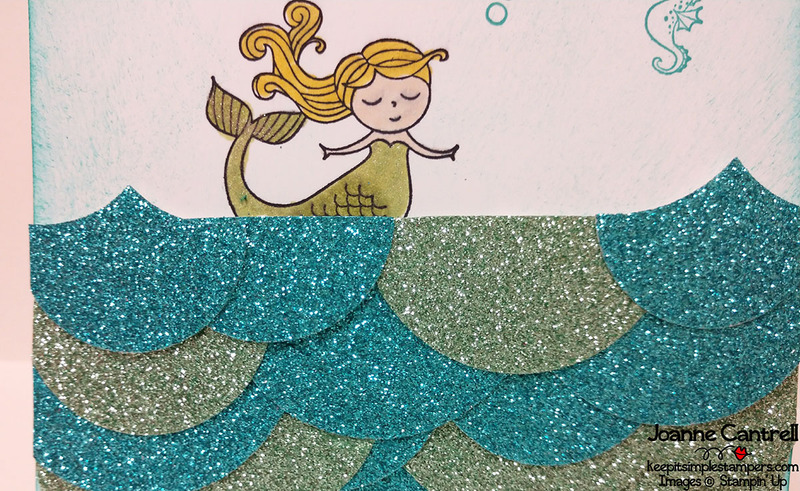 And, a little bonus I CASE’d a card from someone using the mermaid from the set above. I didn’t have the new glimmer paper, but this was from last year’s Sale-a-Bration. I have been told that the blue match while the green used here in the old Mint Macron In-Color. The new green is more vibrant. But, you get the idea! Well, that’s all from me today! 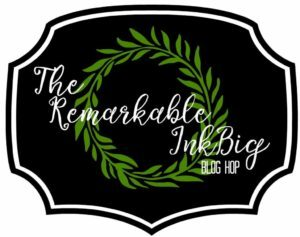 Can’t wait to hop around and see what the others bloggers have done with their creativeness! Next > Calling All Bargain Shoppers!!! 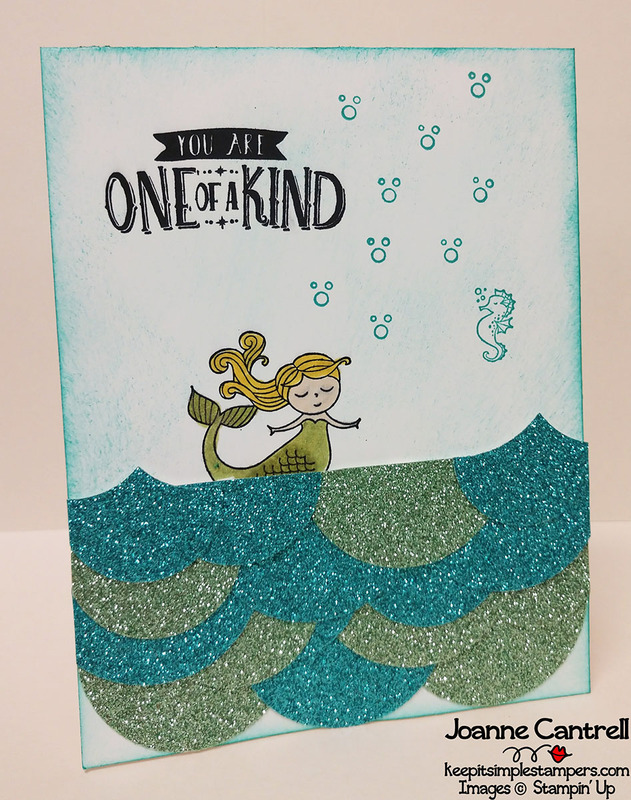 Love how you used the circle punch to create the feel of scales for the mermaid. All the samples rock. Thanks for inspiring. I am in love with that panda. And your mermaid is darling! Wow, Joanne! You are going to town with the new items. Great job showcasing all of them!